Another important issue which is often raised is the asynchrony between the timing of emissions and sequestration, particularly when biomass is obtained from long rotation forests, where a stand takes decades to regrow. In reality, a forest usually comprises stands of different ages, managed such that different stands are harvested each year. Thus, considered across the whole forest estate, stand level fluctuations in carbon stock are evened out. If the annual cut is equal to the annual growth, at estate level, the carbon stock of the whole forest will remain constant. If the annual cut is less than the annual growth, the forest will have a net sequestration of carbon, while also providing wood for products and biomass for energy. 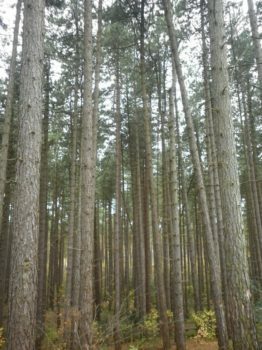 It is important to note that if a forest is converted to a new management regime where more residues are extracted or rotation length is reduced, the carbon stock of the forest estate may decrease, and this should be included as an emission of the bioenergy system. It is also possible that enhanced management (e.g. improved site preparation, use of nurse trees, advanced genetics) stimulated by the demand for bioenergy, will reduce or even negate any decline in carbon stock under the bioenergy scenario. If the bioenergy scenario does cause a reduction in forest carbon stocks, this carbon cost can be repaid if the biomass displaces use of fossil energy sources. Climate benefits will continue to accumulate with each successive harvest. The payback time can be almost immediate when biomass is obtained from annual plants or residues that would otherwise decay rapidly, and are used efficiently (such as in combined heat and power plants and biorefineries) to displace greenhouse gas-intensive fossil resources. Bioenergy based on by-products from forest industry processes (sawdust, bark, black liquor etc. ), as well as tops and branches and biomass from some silviculture operations such as fire prevention and salvage logging are typically found to achieve climate change mitigation in the short term. However, some studies have shown payback times of decades or longer in other bioenergy systems, particularly when considering slowly decaying residues and long-rotation roundwood as feedstock. Nevertheless, the focus on short term carbon balances may be misleading. Considering the long residence time of CO2 in the atmosphere, it is less important whether carbon in forest residues is emitted to the atmosphere soon after the forestry operations take place (such as when used for energy) or is emitted in the course of the next few decades (such as when the residues are left in the forest to decay). What matters most is whether increasing use of forest biomass for energy leads to systematic changes in the forest carbon stocks and a reduction of fossil energy use.